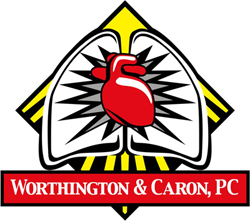 LOS ANGELES, CA, USA, March 12, 2019 /EINPresswire.com/ -- The Pacific Mesothelioma Center (PMC) at the Pacific Heart, Lung & Blood Institute (PHLBI) is thrilled to announce the sixth annual “The Greatest Escape” Motorcycle Ride, proudly presented by Worthington & Caron, P.C. The ride will be on Saturday, April 6th starting at the Ventura Harley-Davidson (1326 Del Norte Rd, Camarillo) and ending at The Elks Lodge (1561 Kuehner Dr, Simi Valley). 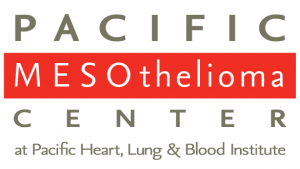 This annual event benefits victims of mesothelioma, a devastating form of cancer caused by exposure to asbestos that is usually not diagnosed until decades after exposure and well into the later stages of the disease. “The Greatest Escape” Motorcycle Ride will commence at 10:00 a.m. with registration at the Ventura Harley-Davidson. The ride will officially kickoff at 11:30 a.m. Riders will cruise through the scenic Santa Susana Mountains and finish at the Elks Lodge in Simi Valley. Riders will be joined by Celebrity Grand Marshal actor and musician Sean McNabb who has starred in a myriad of shows including Sons of Anarchy, other celebrity riders, and Gary Bryan, of the K-Earth 101 Morning Show, who will bring his delightful blend of humor and candor as MC for the event. Once at The Elks Lodge, attendees will enjoy a delicious lunch, live entertainment, vendors, and an opportunity drawing with thousands of dollars’ worth of prizes. The motorcycle ride originated as a tribute to “The Great Escape” movie, starring actor Steve McQueen, who died of mesothelioma. Since its inception, hundreds have gathered each year to honor those who fought valiantly against mesothelioma, encourage those who remain undeterred in their present battle, and to raise money for research. 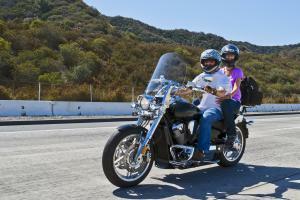 "The Greatest Escape Motorcycle Ride2 brings motorcyclists from all over Southern California together to raise funds and awareness for mesothelioma. We are excited to welcome back our returning riders and extend our welcome to all of the new riders who will be joining us.” said Clare Cameron, the PMC Executive Director. The event is open to all, riders as well as non-riders who simply want to join the fun. The registration fee is $30 for riders and $15 for passengers who register online by April 5th. On-site registration is an additional $5. The fee includes a bandanna, lunch, entertainment, and parking. For non-motorcycle riders, tickets are $15 for lunch, entertainment, and parking. To register, visit www.TheGreatestEscape.org. For sponsorship information, contact Clare Cameron at (310) 478-4678. All proceeds will go towards mesothelioma research. About Us: Established in 2002, PHLBI is a non-profit medical research institute. The PMC, a division of the PHLBI, is focused on the treatment and prevention of malignant pleural mesothelioma. The PMC serves a growing number of mesothelioma victims by supporting the nation’s first-of-its-kind research lab which provides laboratory-to-the bedside research that improves mesothelioma victims’ lives and longevity.